Congrats to my giveaway winner ARIO ACHDA. I drawn all of comments through Random .org true number generator. I drawn the numbers a few times because some of your sweet comments came out as the winner such as romwe, lalita, sesilia, tiffany, chen(those babies are aldo shoes btw), etc. 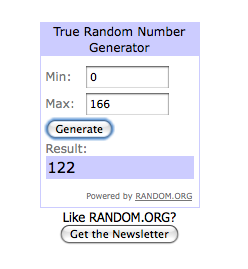 BUT i cannot count em as the entries because they didn't dedicate that comment as my giveaway entries. ketiban duren runtuh! i will take a GUH-REAT care of this baby! kyaaa! telat banget. padahal pengen ikutan. Great blog!! ^_^ I especially love the outfit with the purple top and yellow skirt. And I was looking at your photos from Italy <3 Makes me miss it so much! I was just there 2 months ago. ^_^ Definitely following you!! Keep up the girl work! I look forward to your updates! I can't wait!!! love marni!! ooo marni for h&m love it! blog interview competition check it out! 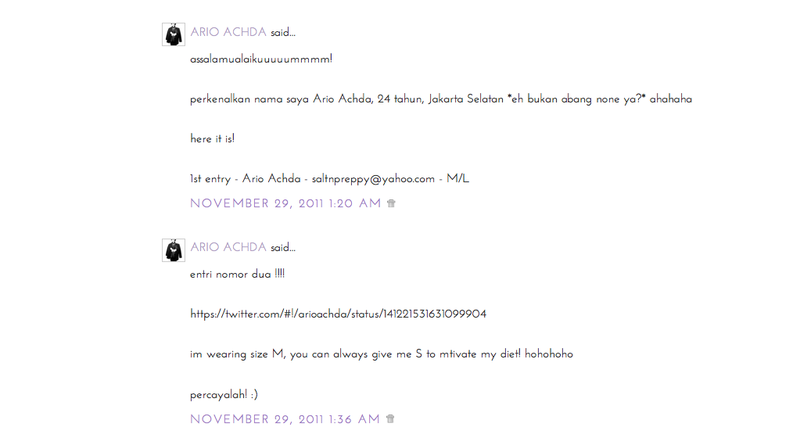 aaa telat ga bisa ikutan ;( and lucky arioo!!! love your last look post cindy.